But loving him was Red. | For the Joy of Life. You better believe I just stayed up until midnight to buy this song. I'm losing sleep over the fact that she keeps releasing new songs. Whatever, I'll sacrifice my beauty for hers. Now please tell the California sun to go away so I can enjoy you and this wonderful fall season a little bit more. She's a real life super hero. i adore all of her new songs! 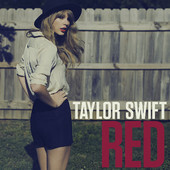 cant wait for her album.